“Thanks for a fabulous weekend – I had a brilliant time, feel refreshed and (almost) as if I’ve been on a holiday.” – Nadia. Two cracking days of guided walking in Snowdonia. 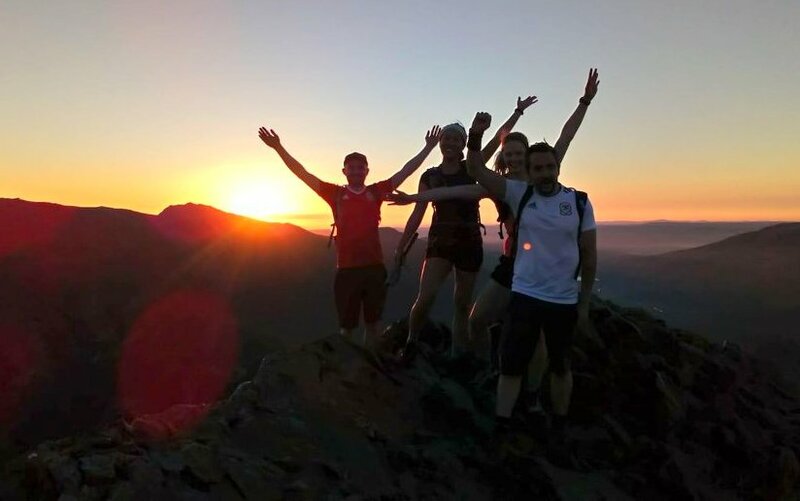 14 mighty mountains of Wales completed in 1 BIG weekend. Saturday: This is a delightful (though not easy) walk into the wilderness of the Dark Peak affording us fine views over the Derwent Watershed. This is a walk that will lead us into and along Abbey Brook and then along Cartledge Brook. Expect to be scrambling up and over wet rocks, whilst trying to keep your feet dry. In essence if your idea of a walk only follows marked footpaths – this walk won’t be for you. If on the other hand you like the idea of an adventure that leads you very far from the beaten trail, this will be a walk to savour. On the way back in we pass the pools at Slippery Stones, and if it’s a hot day this will be a perfect opportunity for a dip! 15 miles including mandatory man-eating bogs. Sunday: From Surprise View car park we’ll head up and over Mother Cap before looping back past Lawrencefield and returning via Padley Gorge. As short Peak District walks go – this is a favourite of mine. We should easily be done for 1200. Price per person: free of charge! 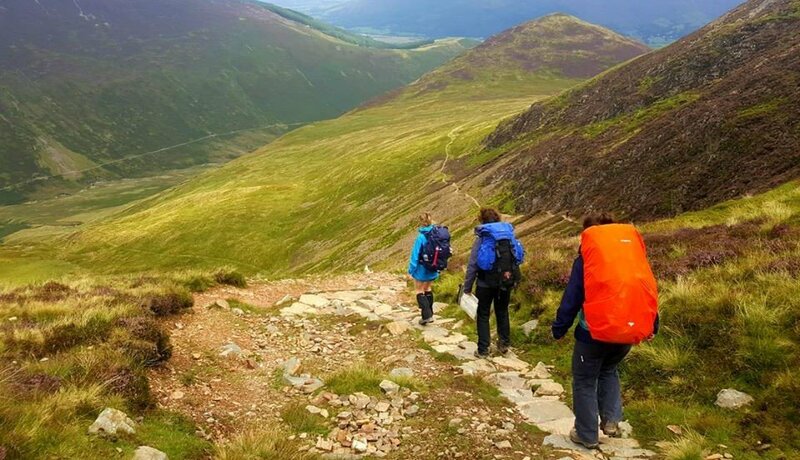 Some ideas of hill walking kit you should take with you can be found here. Lake District guided walking. An ideal first adventure for those of you itching to try out wild camping! This is a great two day Lake District mini-trek. 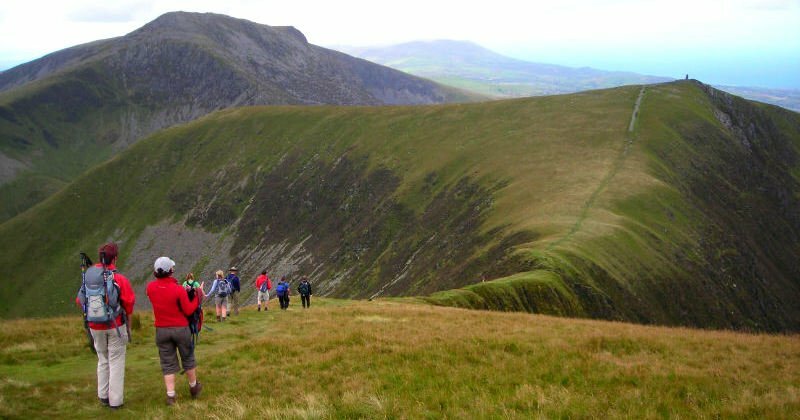 Saturday: This fine walk takes in more rugged scenery from the Dark Peak and with any luck for the most part we’ll have the paths and trails to ourselves. We start and finish in the historic plague village of Eyam. From here we will push on upwards in the direction of Eyam Moor. Following this tasty hill, we’ll lose height so that we can enjoy another pull up to the top of Abney Moor. The walk finishes with us hand-railing the River Derwent before one final pull back up to Eyam. Overall, a little over 12 miles – but not an easy 12 miles! Sunday: A short walk around the Burbage Valley taking local Peak District history from Viking burial grounds to Bronze-age hill forts. A lovely walk to shake out cob-webs before the drive home. Wonderful high level walk in the Peak District with accommodation in the remote and rustic Crookstone Barn. Saturday: By accessing the local public transport available we’ll be able to walk a linear route this weekend from Chinley Train station to Hope. The route itself starts west of the Kinder plateau taking us up to Edale Cross and then along the southern edges before descending via Crookstone Knoll to Hope. 15 miles and 900m of ascent – this could be a tough day! Sunday: A short walk out of Hathersage will have us done for around 12 noon. Price per person: free of charge! (Plus a few quid for your rail fare). Our Free Walking Weekends (i.e. guided walks in the Peak District – offered by us free of charge) are ideal for those of you that want to meet us and to put a face to the name, or maybe to get in some training before a walking holiday, or who just simply want to come for a walk: all are welcome! Great countryside, good company, and some beer to finish with are the usual ingredients. Please don’t be shy if you’re single – many people who join us on these weekends are: come alone, or bring a mate, bring your other half, bring a dog … Either way we’re easy and look forward to meeting you. More great guided walks in the UK (not so free) can be found here. Why do we offer these guided walks in the Peak District free of charge? There are many reasons to offer these free walking weekends. On a business level it’s a great way for us to market ourselves and to showcase what we do. It’s also a great way for us to remove some of the anonymity that comes with being a web based business. But there’s more to it than that. It’s nice to develop relationships and a community amongst our clients. This wouldn’t work if every time you joined us on the hill you had to pay for the privilege. And finally it makes us unique. None of our competitors get it and none of them offer it. These weekends are designed to appeal to the novice as far as is possible and so they should be as accessible to as many people as possible. For that reason kit requirements are kept to the minimum and often we’ll be able to lend you stuff for no charge. The time of year can impact on what’s needed. So in the summer months, shorts and t-shirt with a pair of trainers could be fine. In the winter months warmer clothes, robust wet weather kit and boots are more important – plus also a torch maybe! Once you book your place a full kit list will be included with the details we send you. About three hours drive from London, The Peak District is our first national park and sitting on the doorsteps of Sheffield, Derby and Manchester, possibly the most visited national park in the UK. It is named after the people who lived here – the Peaks. There is evidence that people have settled here as long ago as 7000 years back. The Peak District spans four counties and is normally considered to constitute two parks – The Dark Peak to the north and the White Peak in the south – so called due to the geological make up of the earth. The Dark Peak – also known as the High Peak – has a lot of peat and grit-stone showing through in its soil – hence it looks dark. The White Peak on the other hand has a base formed from limestone – hence looking lighter in colour. The Dark Peak is wilder and more rugged whereas the White Peak is less hilly and more densely populated – its scenic villages drawing in the visiting tourists. Further information on the history of the Peak District (tongue in cheek and in fewer than 750 words) can be read here. 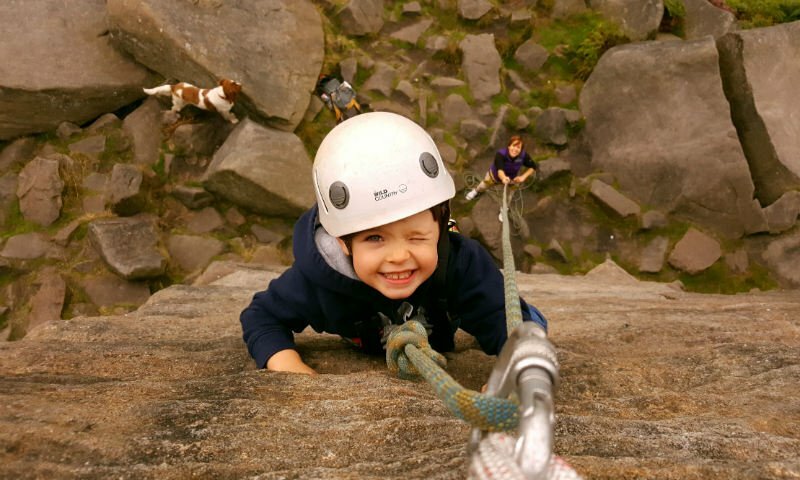 Finally – the Peak District with its miles upon miles of rocky edges and outcrops is the home to UK rock climbing offering the rock climbing enthusiast thousands of routes to choose from! Take the train to Hope (in the Hope Valley, Derbyshire) and from there you can walk to Castleton (2 miles), get a taxi or take the 272 bus. Note – you must make arrangements to find Castleton in Derbyshire – there is more than one Castleton in the UK! Note – you must make arrangements to find Castleton in Derbyshire – there is more than one Castleton in the UK !